Eduard Stavytskyy reportedly attempted to flee to Russia as Nathan Rosenberg. 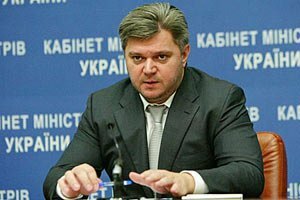 The Israeli Security Service (ISA, also known as Shabak) has detained a former Ukrainian minister of energy and coal industry, Eduard Stavytskyy, the Ukrainian news agency UNN has quoted its sources as saying. The former minister was allegedly trying to fly to Russia as Israeli national Nathan Rosenberg. After the detention, UNN said, law enforcers searched the house of Stavytskyy-Rosenberg and seized 400,000 dollars and 200,000 euros in cash, and jewelry and watches worth a total of 500,000 dollars, and the detainee’s foreign passports in his both names. According to the UNN source, the secret service carried out an operation on suspicion of Stavytskyy's legalization (laundering) of proceeds from criminal activities in Ukraine. "The Israeli special services consider the evidence collected by Ukraine's law-enforcement bodies against Stavytskyy as sufficient," the UNN said. Stavytskyy was declared wanted in Ukraine two years ago. He was suspected of embezzlement of property through abuse of office. In the autumn 2014, it became known that Stavytskyy lived in Israel and changed his name to Rosenberg.